EZ CD Audio Converter (formerly Easy CD-DA Extractor) is an all-in-one audio suite that consists of four modules: Audio CD Ripper, Audio Converter, Metadata Editor and Disc Burner. Rip audio from CDs in perfect digital quality. Convert and encode audio files. Edit metadata of audio files. Burn audio CDs. Burn MP3 and data discs. EZ CD Audio Converter includes only the audio components and codecs that provide the best audio quality possible. It's optimized to utilize the power of the multi-core and multimedia features of the processors. It also can run up to 8 parallel conversions and it is optimized to take advantage of multimedia features of processors, whenever there is a performance benefit. 3g2, 3ga, 3gp, aac, ac3, aif, aiff, ape, asf, au, avi, caf, cue, divx, dsf, dts, dtshd, dv, eac3, flac, flv, m2ts, m3u, m4a, m4b, mka, mkv, mov, mp1, mp2, mp3, mp4, mpc, mpeg, mpg, ogg, oma, omg, opus, ra, ram, rm, shn, spx, tak, tta, vob, w64, wav, webm, wma, wmv, wv. EZ CD Audio Converter is free for 30 days. There is no obligation to buy the software. 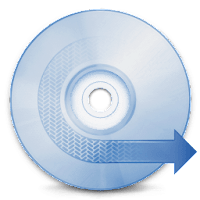 EZ CD Audio Converter includes free unlimited upgrades (all major and minor version updates are included in one-time license fee) and GD3 (premium metadata) lifetime subscription. Disclaimer: Direct downloads for the lastest version of EZ CD Audio Converter 7.0.1.1 are provided by the official software's author, we can't guarantee safety, availability or download speed. Moreover, we don't and we won't provide any pirated/illegal versions or tools. We recommend you to avoid it as these methods can harm your device. If you like the software, buy it to support the developers. (We provide software discounts for many worldwide brands).